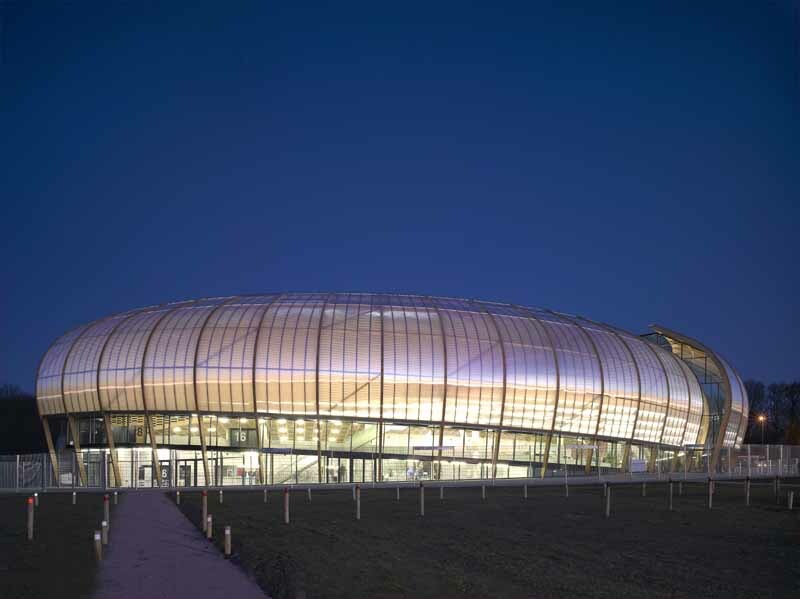 LIMOGES, FRANCE, March 7, 2007 – Designed by Bernard Tschumi Architects, the Zénith Concert Hall in Limoges will open on Thursday, March 8, 2007 for its official inauguration, followed by a celebratory concert on Saturday, March 17, 2007 with a performance by French pop star Michel Polnareff. 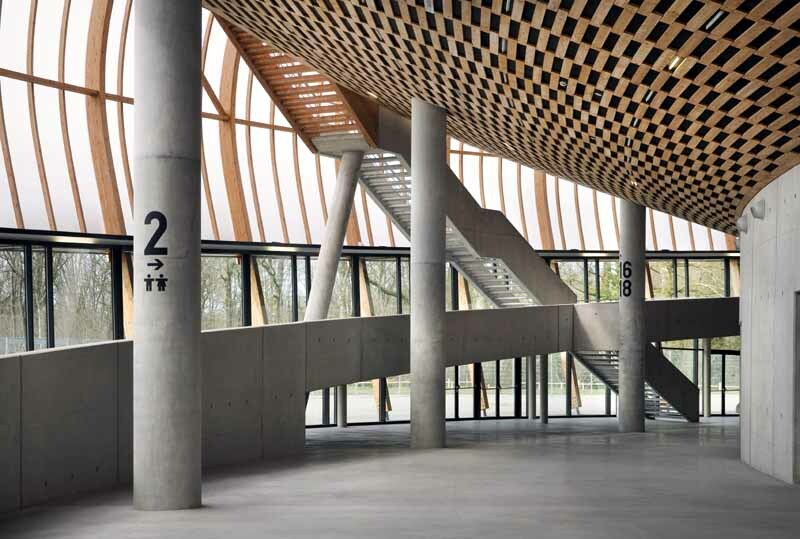 The structure is designed to accommodate 6,000 spectators comfortably with configurations for as few as 600 or as many 8,000. Instead of a proscenium, Bernard Tschumi conceived of a stage free of all structural members, with a performance space approximately 260 feet wide by 130 feet deep. 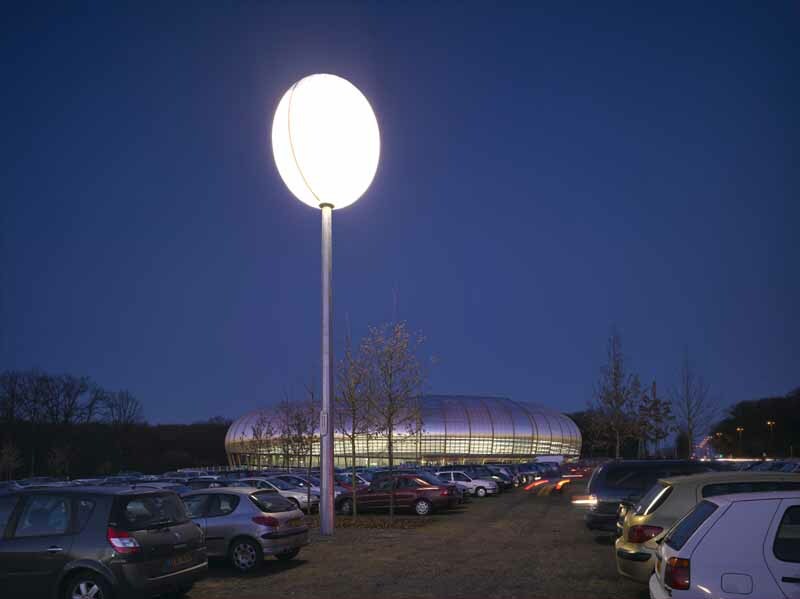 Lighting is provided through five balloons which also act as signage for the site. 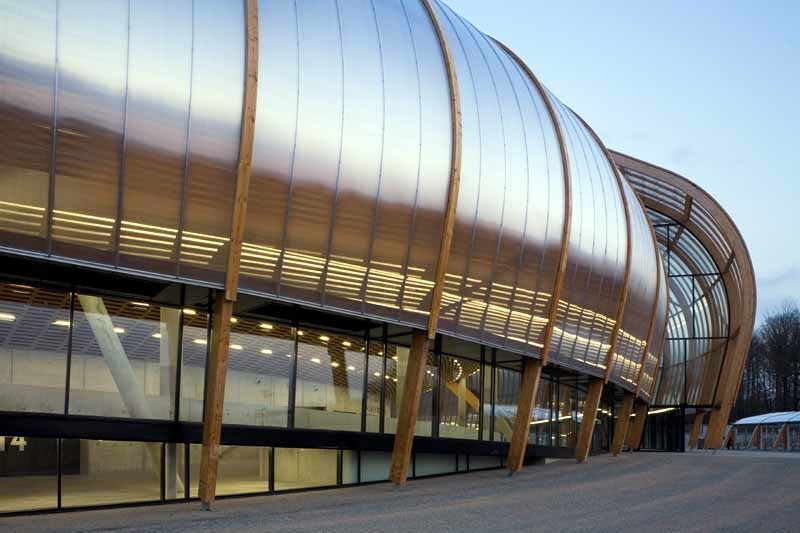 Tschumi’s design for the project incorporates two distinct acoustical envelopes: an outer polycarbonate skin that filters light and defines the circulation spaces and an inner wooden envelope that provides an intimate setting for concerts and events. This concept responds to the dramatic site, a clearing in a large forest at the edge of the city, surrounded by trees more than 200 years old. 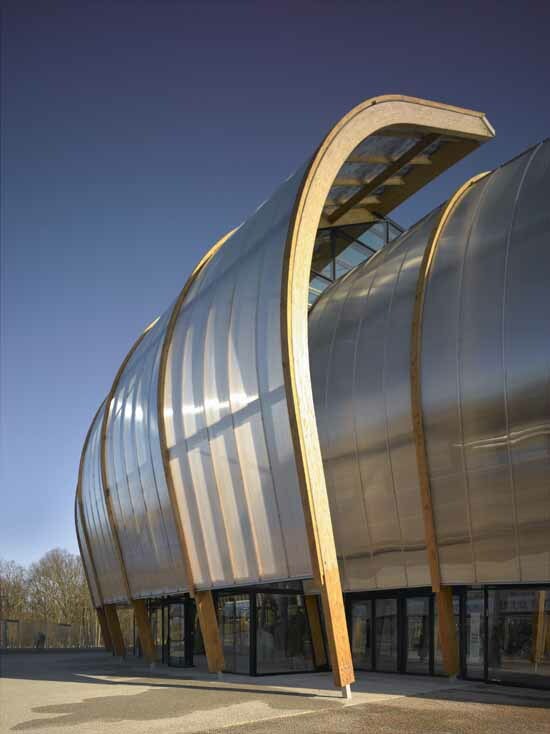 Tschumi developed the design with sustainable materials and energy conservation in mind, taking advantage of the local timber industry and using renewable materials for the acoustical envelope of the concert space. Additionally, the outer skin composed of polycarbonate and a wooden frame allows for natural light and ventilation. Seven acres of parking for 1,500 cars is entirely covered with grass and trees, thanks to a technique developed by the landscape architect Michel Desvigne. Zénith concert halls have been a major feature of French cultural life over the last twenty-five years, and these state-sponsored venues for rock concerts, political gatherings, and other cultural events have seen the work of major architects including Norman Foster, Rem Koolhaas, Massimiliano Fuksas, and Tschumi, whose previous award-winning Zénith in the city of Rouen employed a similar double-envelope with completely different materials for an urban site. 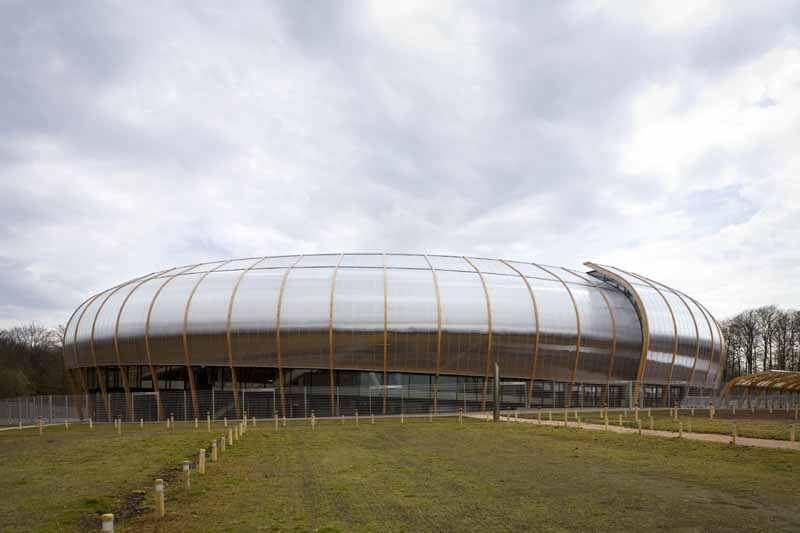 The project team for the Zénith Concert Hall in Limoges has been led by Bernard Tschumi and BTuA partner Veronique Descharrières. 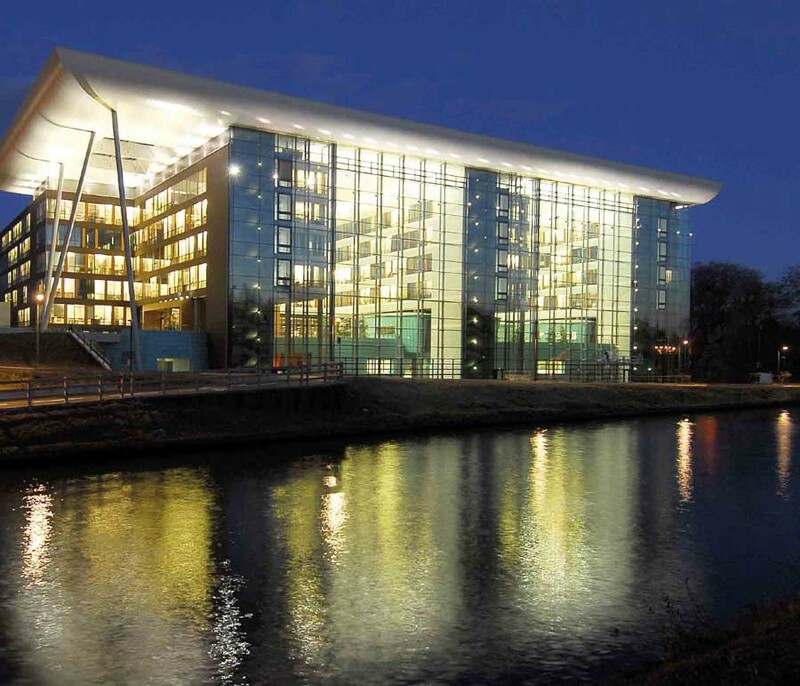 The design and construction team also includes the local architectural office Atelier 4, Scène for the stage design, Technip TPS for engineering, and CIAL for acoustics. Bernard Tschumi Architects Bernard Tschumi Architects, based in New York and Paris, is currently completing the New Acropolis Museum in Athens, the BLUE residential tower in New York City, the ECAL art school and a railway station in Lausanne, Switzerland. Projects under study include: a museum in Alesia, France, a cultural center in Bordeaux-Cenon, a cultural center and department store in The Hague, and the Diaoyutai Ouest Hotel in Beijing. The firm just completed the master plan for the Independent Financial Centre of the Americas in the Dominican Republic and is currently designing the first phase. 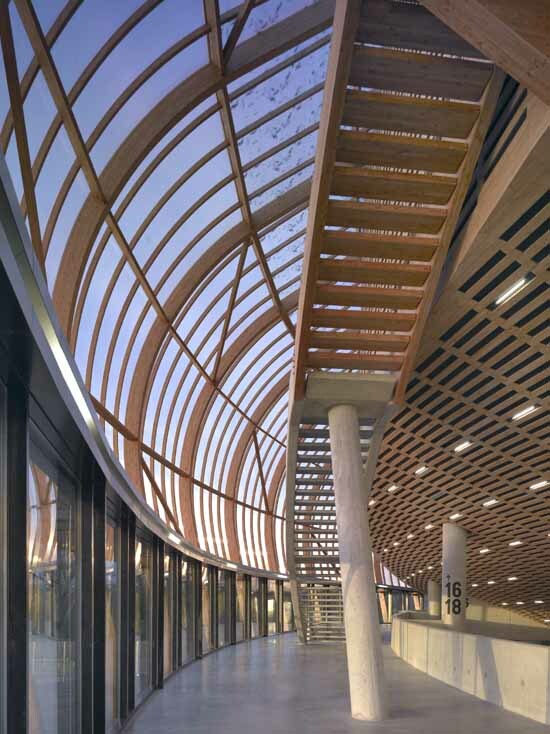 Recently built projects include the Athletic Center for the University of Cincinnati; the factory and headquarters for Vacheron Constantin in Geneva, Switzerland; and the School of Architecture at Florida International University in Miami, Florida. 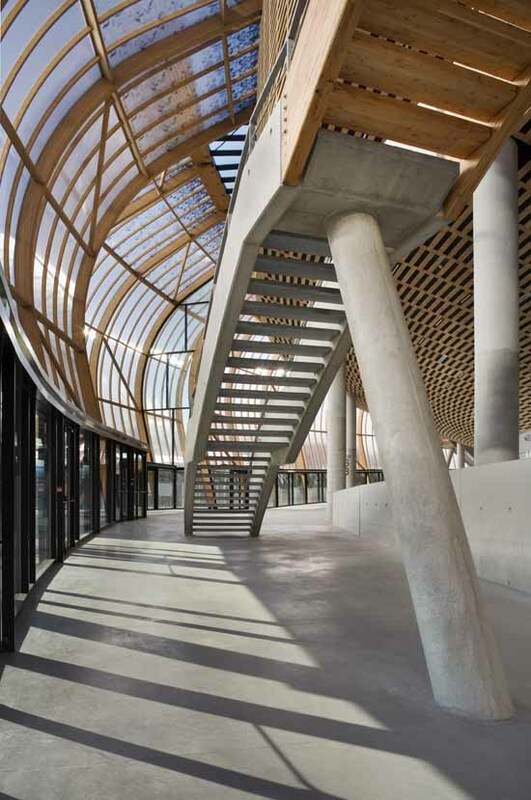 Bernard Tschumi Architects opened in 1983 with the competition winning project for the Parc de la Villette in Paris, a 125-acre cultural park with 25 folies, pedestrian bridges, promenades, and outdoor facilities. Guide on the 100 best things to do in France that is packed with tips and advice.